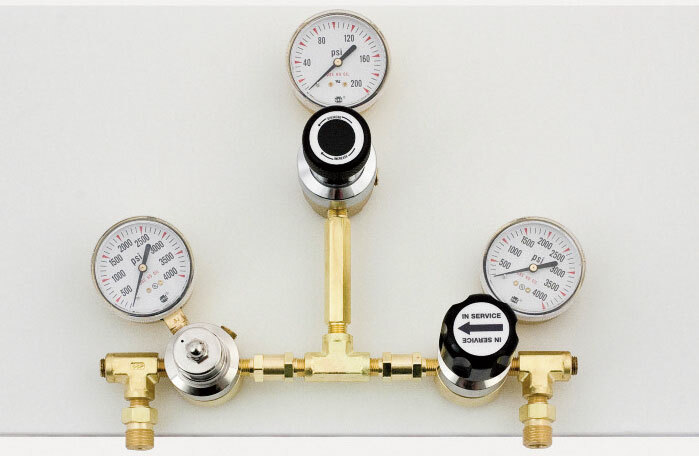 The 916 HF and HP Series semi-automatic changeover manifold provides a low cost solution for providing an uninterrupted gas supply to your process. 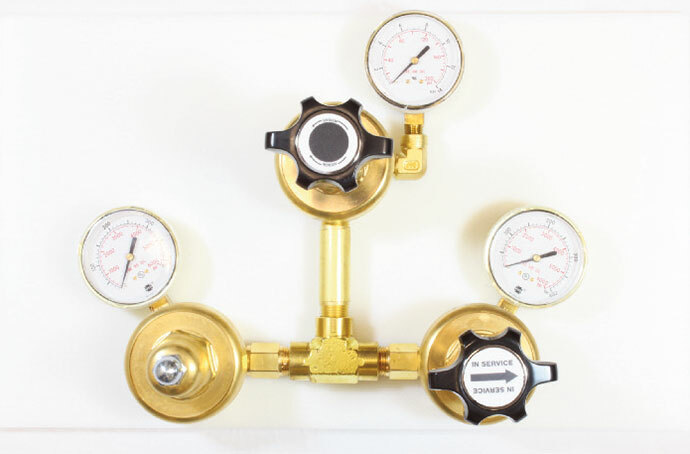 Available in brass, the 916 Series offers the convenience of a simple flip knob to readjust pressures after a changeover and a line regulator to ensure a constant delivery pressure to your system. 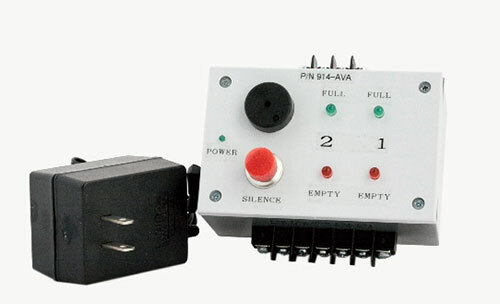 A pressure switch alarm assembly is available to notify the user that a changeover has taken place, the manifold needs to be set to switch the other way, and the empty cylinders should be changed. The system can simply be used with one pigtail on each side, or connected to larger manifolds such as those shown on pages 59 and 60. Pigtails and/or manifolds sections are ordered separately.